Inspire your wardrobe and home fabrics by viewing more Fabrics, Fashion & Accessories spray paint projects from Krylon®. 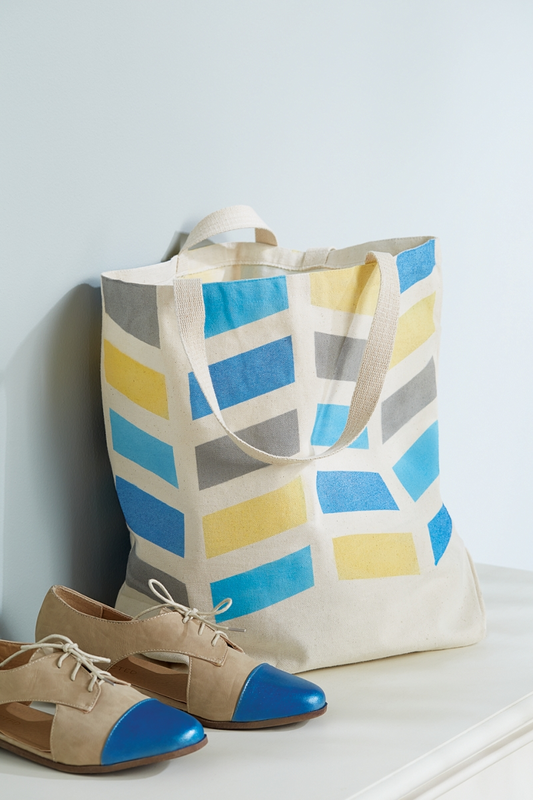 Use tape to mask bottom and sides of tote. Measure across tote and mark with pencil so that there are three vertical lines for tape to run vertically an equal distance apart. Apply shorter pieces of tape at angles evenly between vertical tapes. Use additional tape to block areas for each color leaving one spot in each column for Bright Idea. Spray lightly and let dry. Mask the color just painted and remove taped areas for Blue. Repeat steps for each color.